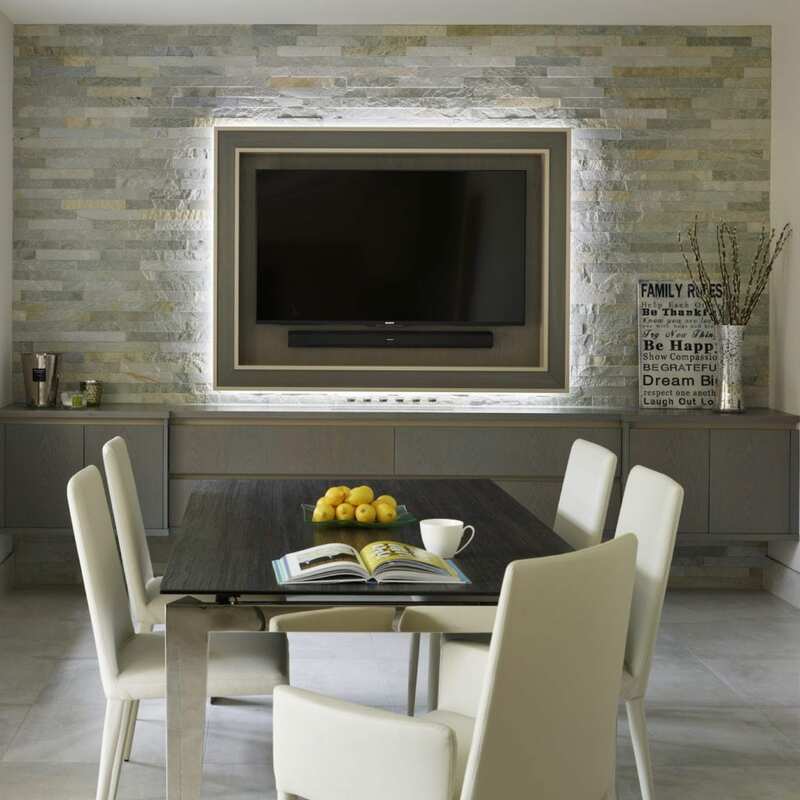 Mr and Mrs Weston came to the Davonport Colchester showroom with a firm idea of what they wanted for their new kitchen. 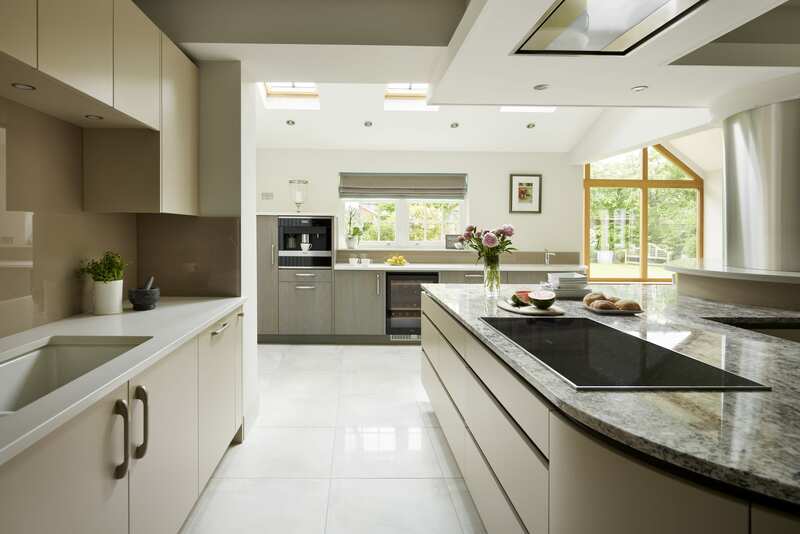 They had undergone significant building work to create the space needed for their dream kitchen so wanted a layout that would optimise the room. With such a large area to fill they had a lengthy wish list, including a breakfast bar, dining table, drinks zone and relaxed seating area. The style of the kitchen they wanted was unique – understated, sleek and above all else, contemporary. Mrs Weston was also particularly keen on using a specific colour she envisaged. 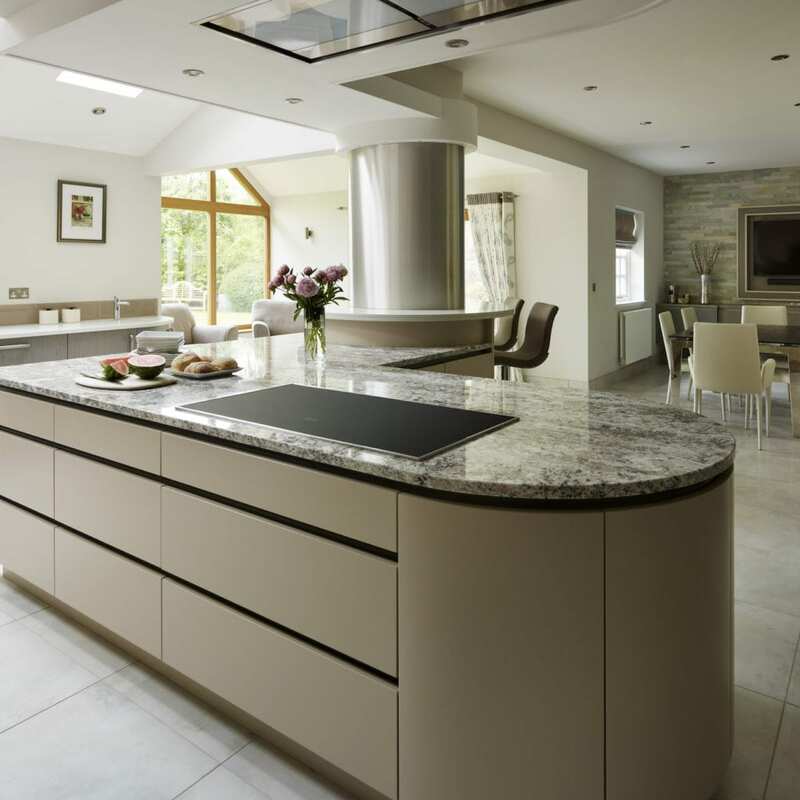 With such an extensive and precise plan for their kitchen they knew they needed a bespoke kitchen company to realise their vision. 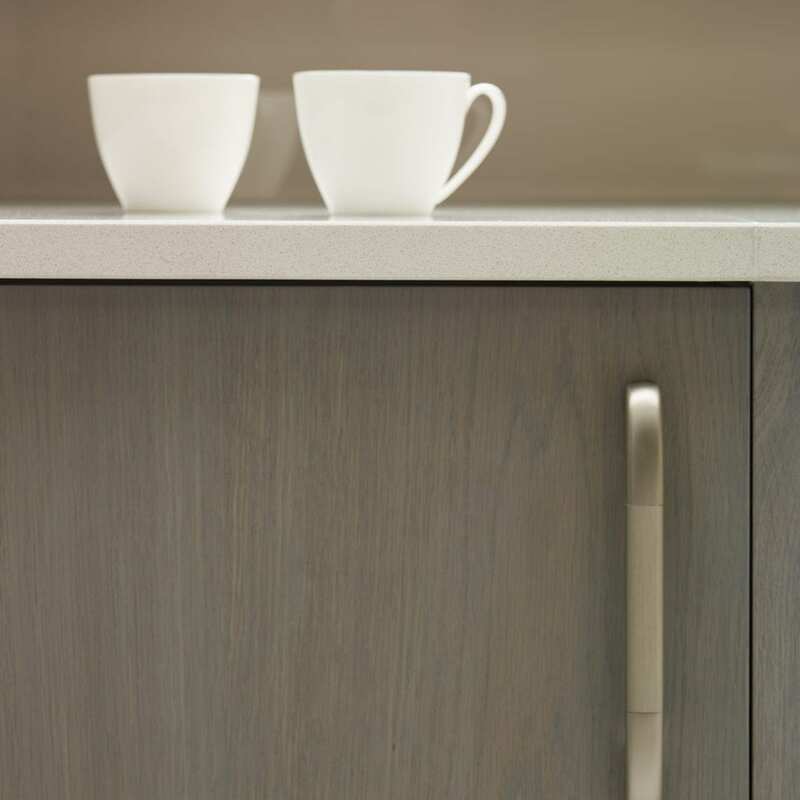 After viewing our collections, Mr & Mrs Weston chose the D3 collection as they felt the smooth lines and potential for handleless cabinetry would create the perfect modern kitchen. 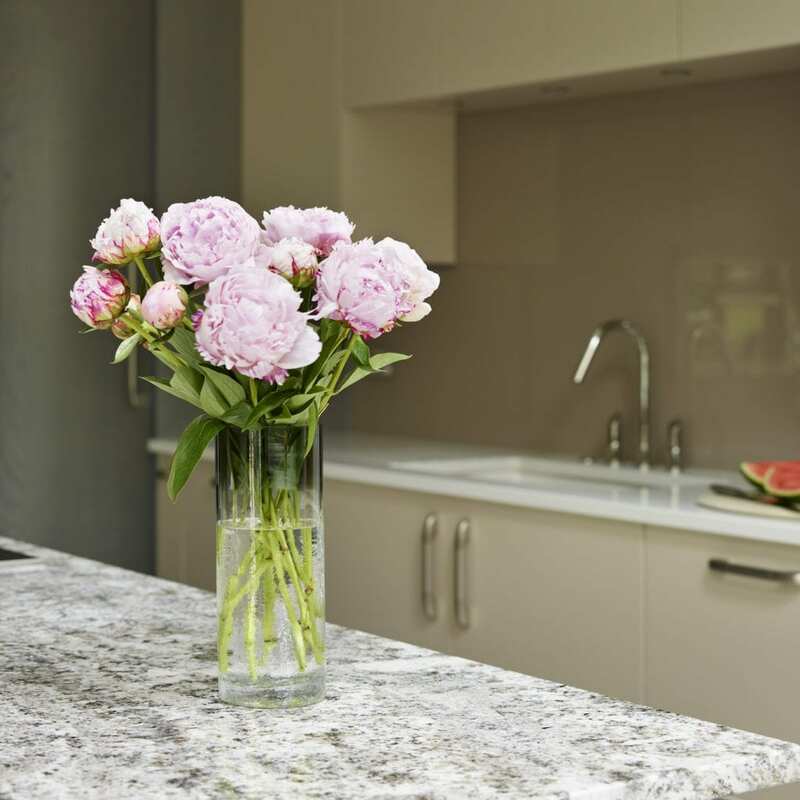 Combined with our bespoke design and expert craftsmanship, they were confident that their dream kitchen could be realised. 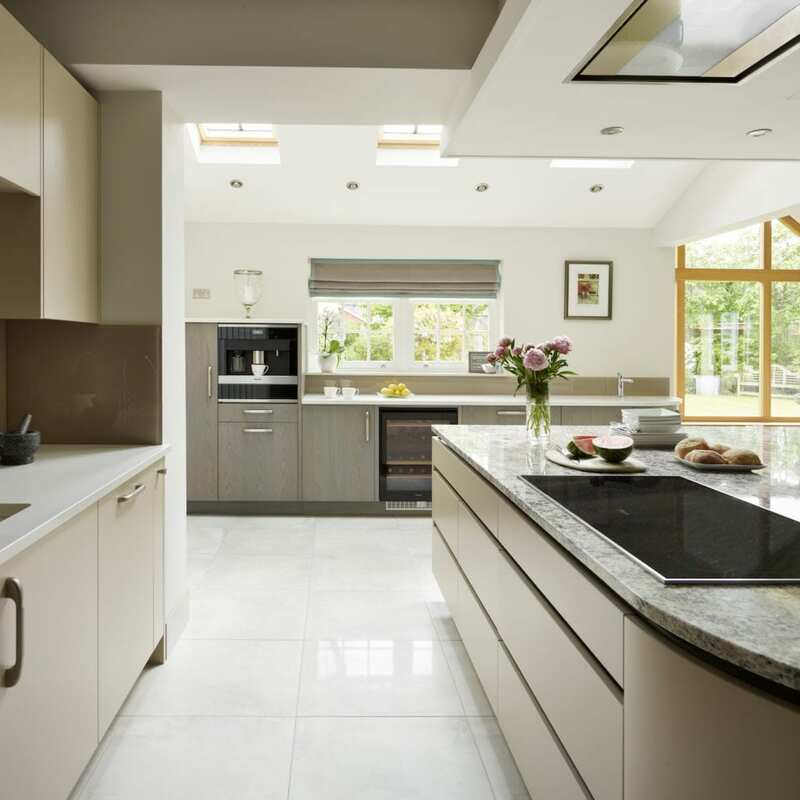 The original kitchen in their home was small and had limited natural light, the new room features a gable end window and skylights to maximise the daylight flowing in. 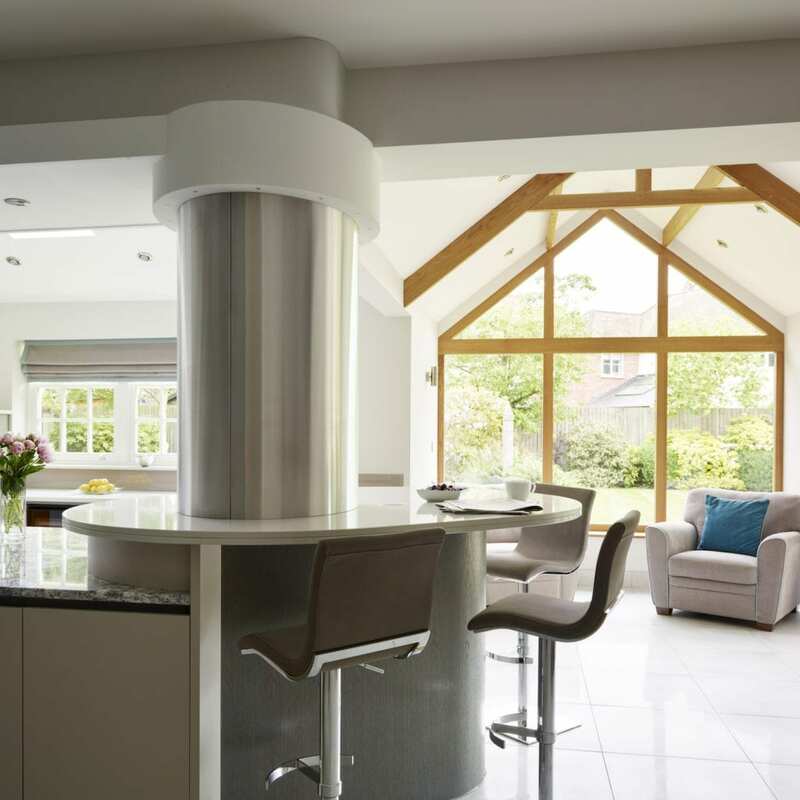 The extension and building work undertaken to create space for the new kitchen resulted in four different ceiling heights and a structural column in the centre of the room. In order to seamlessly bring this all together, the pillar was clad in stainless steel in an elliptical shape, and a pelmet was added at the top. This stainless steel cladding disguised the column and encourages light to reflect around the room, whilst the pelmet at the top connects it to the ceiling, bringing together the point at which all four ceiling heights join. The rest of the layout of the room is structured largely around this central column. The island emerges from one side of it whilst the breakfast bar juts out towards the two armchairs positioned by the gable end window. Running along the exterior wall next to the seating area is the drinks cabinetry. 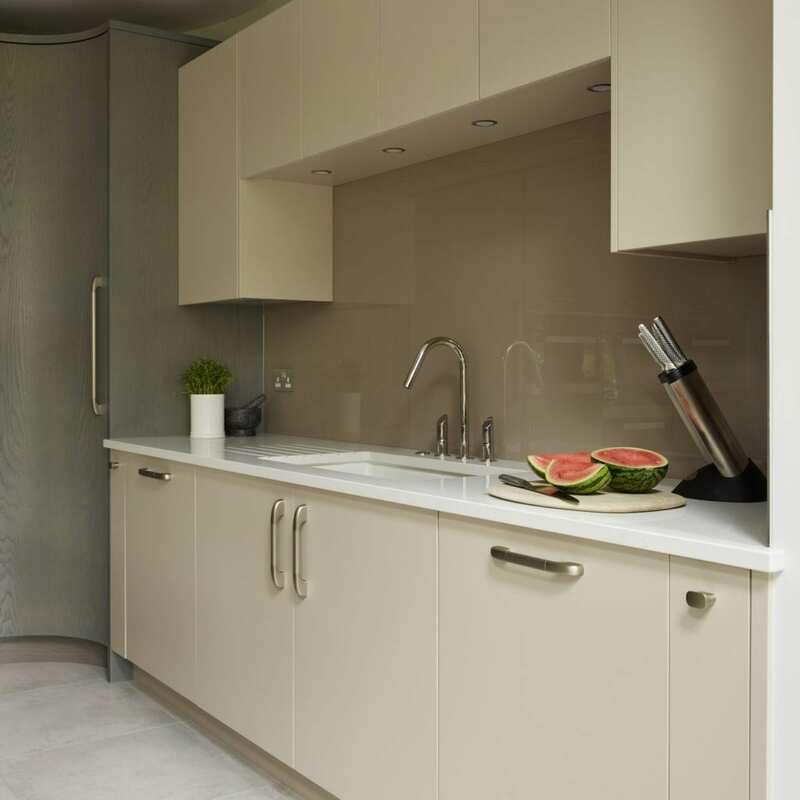 As well as cupboard space for glasses and drink related ingredients, this area also features a Sub-Zero refrigerated drawer, Miele wine cooler and coffee machine as well as a Zip boiling water tap with prep sink. Organising the room in this way keeps all the drinks together, within easy reach of where guests are likely to be sat, and away from the working space of the kitchen. 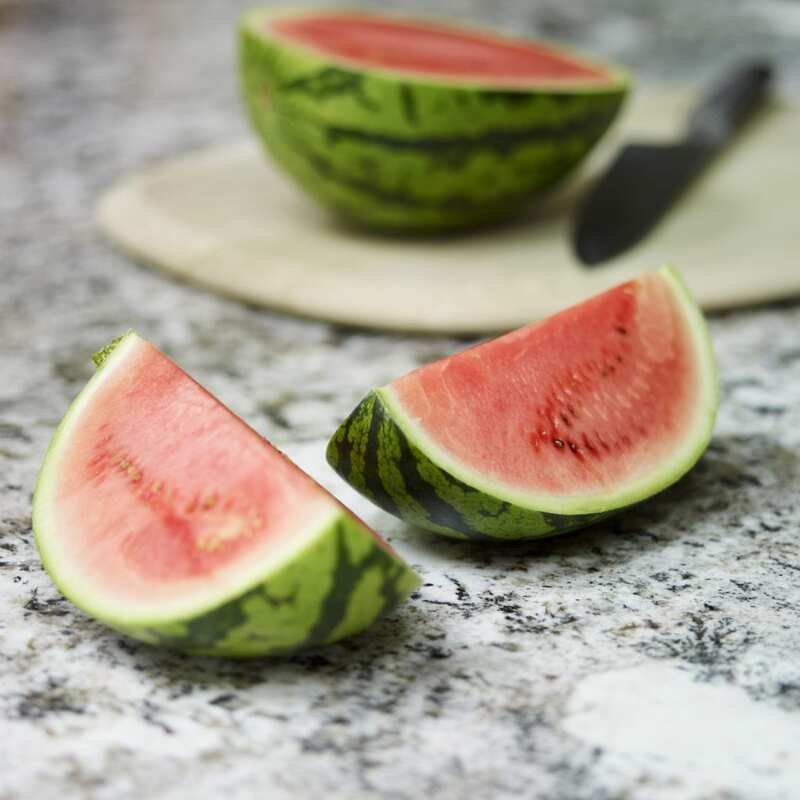 The preparation and cooking area of the kitchen is focused upon the island. 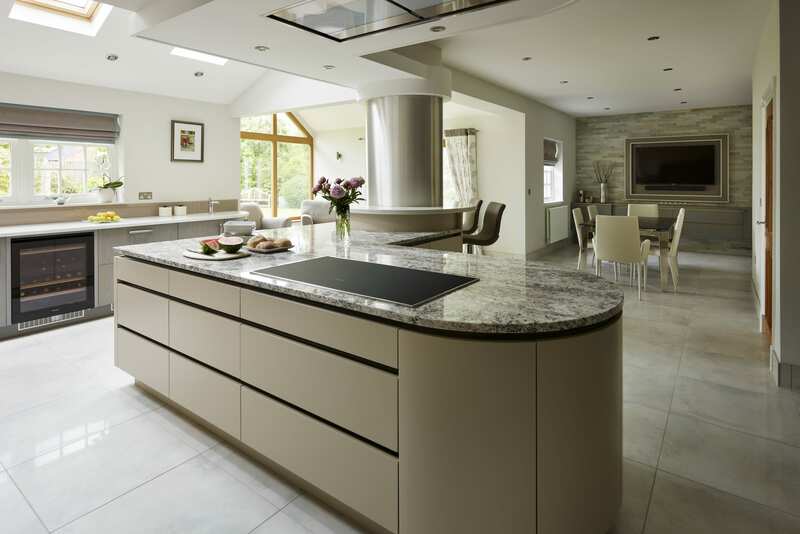 A Miele induction hob on the island is surrounded by ample clear worktop space, perfect for preparation during cooking. The main sink for the kitchen is positioned opposite the hob, making it easy for the chef to move from one to the other. Mrs Weston was particularly keen on having a pantry. 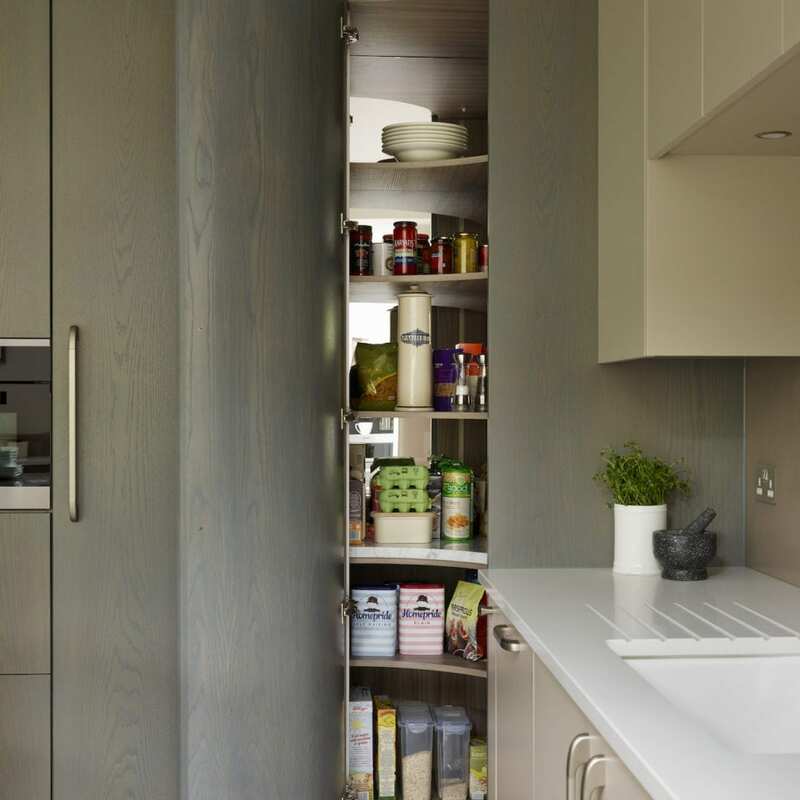 As space did not allow for a walk in larder and a more traditional Butler’s Pantry was not appropriate for the style of the room, we suggested a modern curved corner pantry. The classic marble shelf and mirrored back wall of a traditional pantry were kept, maintaining the internal functionality of a classic pantry, whilst the external aesthetics enabled it to fit into a modern collection such as the Linear. The colours were central to this project. 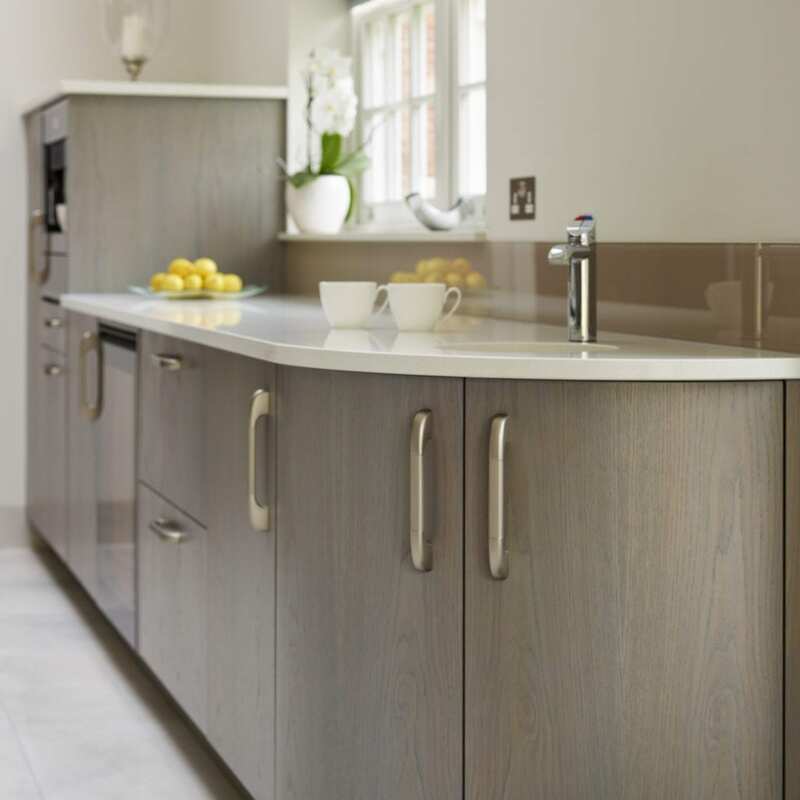 Mrs Weston knew the precise colours she wanted and in order to meet her exacting standards we created a bespoke stain for the oak cabinetry and a matte lacquer for the handleless cabinetry. The stain used on the oak gives the wood a muted grey tone, with the grain of the wood still visible. This same stain was applied to much of the kitchen internals, including the cutlery drawer. 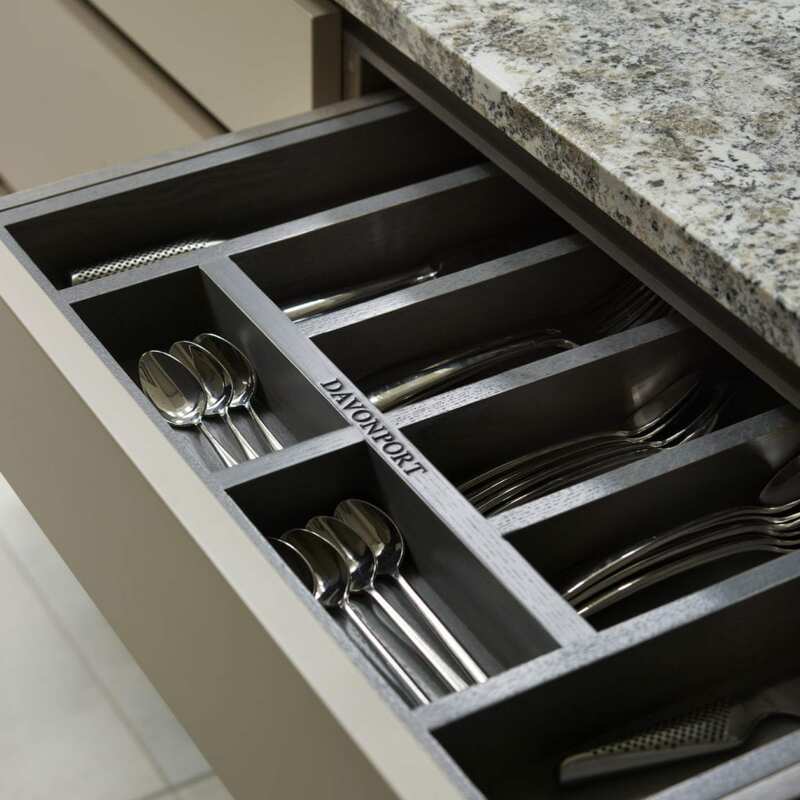 Simple touches such as this emphasises the luxurious nature of the kitchen furniture and helps the design to flow throughout. Mr and Mrs Weston’s wish list was an ambitious one, and at the heart of it was the dream of making their kitchen unique; unlike anything they had seen before. They certainly achieved this, creating a striking contemporary kitchen that is as beautifully unique as it is ergonomic.